Magic, Simon During suggests, has helped shape modern culture. Devoted to this deceptively simple proposition, During's superlative work, written over the course of a decade, gets at the aesthetic questions at the very heart of the study of culture. How can the most ordinary arts--and by "magic," During means not the supernatural, but the special effects and conjurings of magic shows--affect people? Modern Enchantments takes us deeply into the history and workings of modern secular magic, from the legerdemain of Isaac Fawkes in 1720, to the return of real magic in nineteenth-century spiritualism, to the role of magic in the emergence of the cinema. 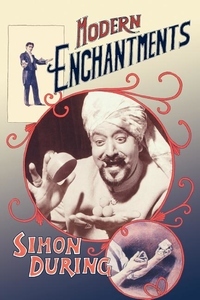 Through the course of this history, During shows how magic performances have drawn together heterogeneous audiences, contributed to the molding of cultural hierarchies, and extended cultural technologies and media at key moments, sometimes introducing spectators into rationality and helping to disseminate skepticism and publicize scientific innovation. In a more revealing argument still, Modern Enchantments shows that magic entertainments have increased the sway of fictions in our culture and helped define modern society's image of itself.